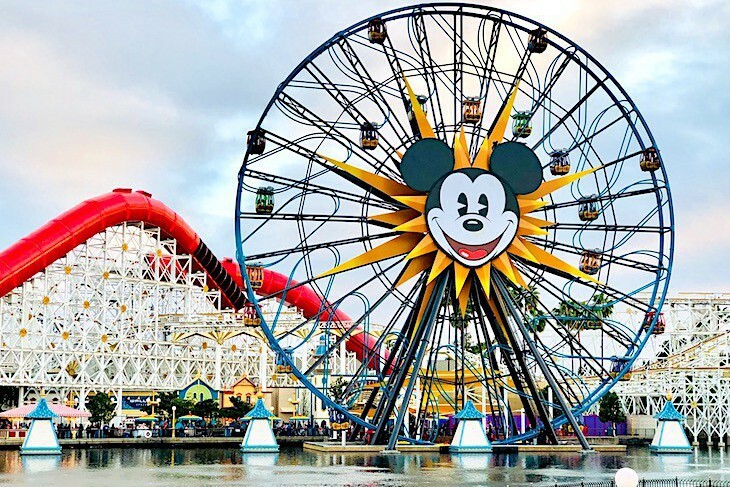 Totally revamped in 2018 with a Pixar theme, this California-style seaside pier area of the park features two attractions that you just can’t miss spotting, Incredicoaster and Pixar Pal-a-Round ferris wheel. 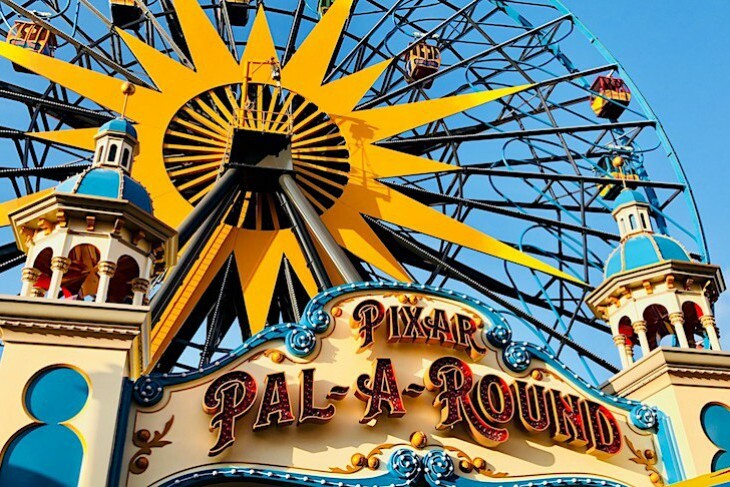 Thrill rides and old-fashioned fun are to be found along with the very popular Toy Story Midway Mania! and a delightful attraction featuring the Little Mermaid. The centerpiece of the Pixar Pier area is this thrill-a-minute coaster. Join the Incredibles in their mad dash to catch baby Jack-Jack as he wreaks havoc throughout every inch of this high-speed chase! 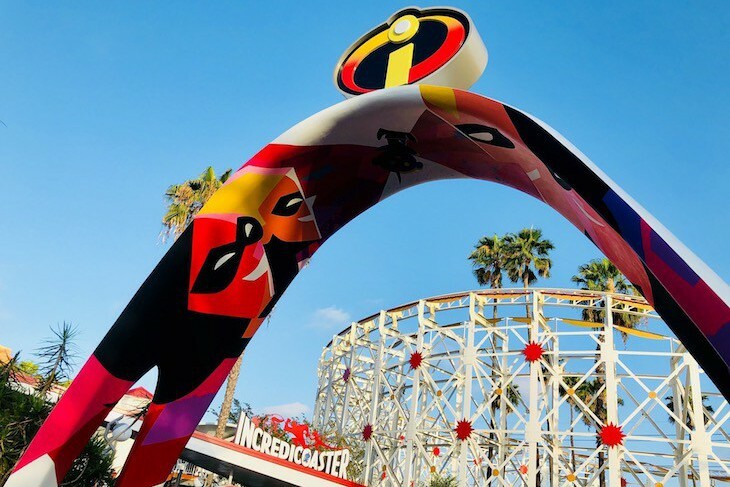 This newly re-imagined attraction boasts enclosed Incredibles-red tubes that tower over Pixar Pier and a mid-century-modern-inspired loading area where vehicles wait to whisk Guests off on the Incredicoaster! Plus, all-new special effects, character moments, scenes and a musical score by Incredibles 2 composer Michael Giacchino adds to the super-fied fun! Minimum height 48 inches (4 feet). Not recommended for expectant mothers or those with back or neck problems. FASTPASS. Single Rider Line. 2.5-minute ride. Cara's Tip: Ride after dark when the coaster and the park are exquisitely lit. Inspired by Jessie’s wilderness friends in the “Woody’s Roundup” television show from “Toy Story 2,” this newly reimagined attraction is a classic boardwalk carousel with a whimsical spin. Saddle up on one of 56 adorable friends, choosing from a turtle, snake, buzzard, armadillo, bunny, deer, raccoon, ram, skunk and two cozy logs inhabited by a family of owls. Immerse yourself in the music and wonder of one of Disney’s best-loved animated movies, The Little Mermaid. California Adventure’s version of this attraction lacks the terrific queue found at Walt Disney World, but you’ll love it all the same. 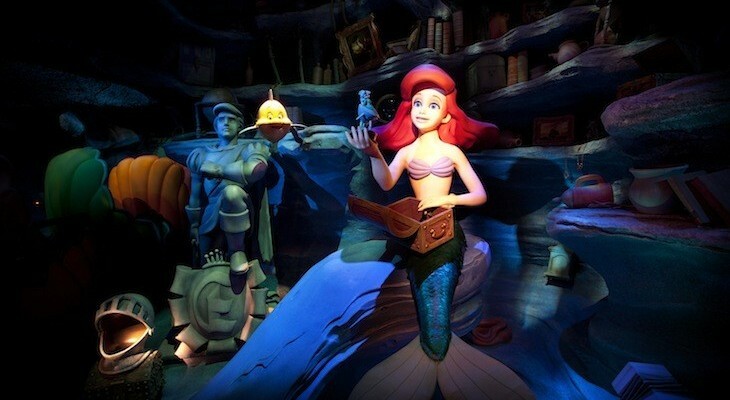 Board your clam-mobile on a journey through Ariel’s undersea world where famous songs combined with Audio-Animatronics tell the story of everyone’s favorite mermaid. While the queue here isn’t nearly as interesting as at Disney’s Hollywood Studios®—the only entertainment is from a Mr. 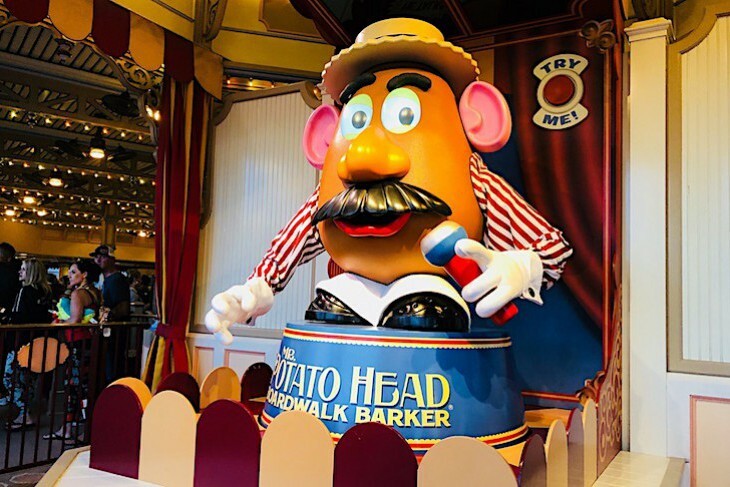 Potato Head boardwalk barker—the ride portion of this attraction is an exact replica. And, thankfully, the attraction’s popularity is not quite as enthusiastic either. Don your 3-D glasses and board a carnival tram to embark on a 4-D virtual version of midway-style game play. Use your spring-action shooter to plug away at a series of giant-size video screens, each hosted by a member of the Toy Story gang and featuring virtual spinning plates, tossing cream pies, bursting balloons, and funny little green aliens as you zip through game after game, each lasting 30 seconds, each more fun than the last. Adding to the entertainment is a 4th dimension of air shots and water spritzers while Toy Story characters yell hints and cheer you along. Watch out for bonus targets and simply have a blast (no pun intended)! Disney's most amazing nighttime show is quite the spectacle, honestly worth the trip to California just to see it. 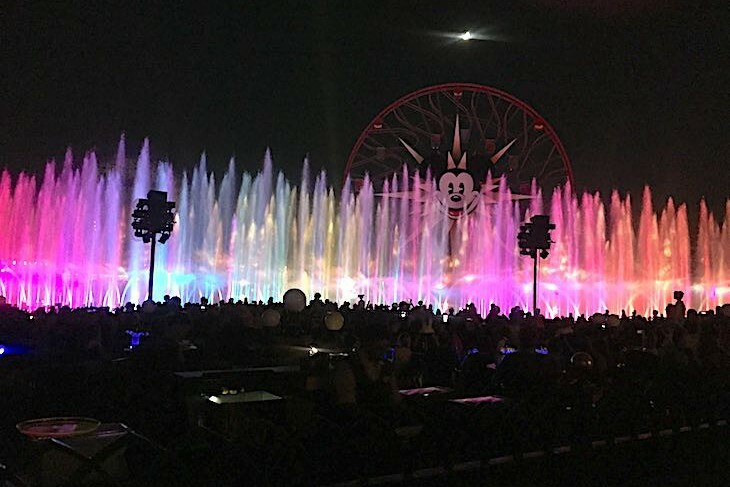 Shimmering mists project Disney and Pixar clips on jets of sky-high water combined with explosions, color wheels of light, and exciting orchestral music. Many of Disney's most famous movies are represented including scenes from Finding Nemo, The Little Mermaid, The Lion King, Up, Brave, even and explosive Pirates of the Caribbean shot.